HVAC units are complex, which is why the AC service professionals at Montgomery Heating & Aire encourage all of their customers to ask as many questions as they like. As Mountain Home and Harrison, AR’s leading HVAC installation company, they are extremely knowledgeable in all things AC and heating. HVAC stands for heating, ventilation, and air conditioning. Since your air system performs all three functions, depending on the season, its name is garnered from that flexibility. Regardless of the outside temperature and the time of year, your HVAC system strives to offer excellent air quality and a comfortable temperature within your home or business. When it comes to filter replacement, there’s no hard and fast rule. The frequency with which you should change your filter depends on how your system operates and how hard it’s running. The best way to determine the frequency with which you should change your air filters is to simply check your filters once per month. You’ll be able to gauge from there, but at a minimum, change your filters at the start of each new season. While it may be tempting to leave your HVAC unit as is until it breaks completely, try to avoid holding out. The last thing you want is for your unit to break down in the middle of winter or on a particularly hot summer day. Instead, consider new HVAC installation about every 12 years. By then, you’ll be able to purchase a higher efficiency model to help cut down on energy use. If you live in the Greater Mountain Home or Harrison, AR, area and you’re looking for an experienced AC company specializing in HVAC installation and repair, call Montgomery Heating & Aire today at (870) 435-1501 to schedule your next appointment. 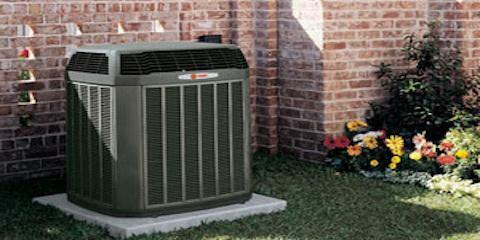 For more information on their AC service and heating repair options, visit the website.